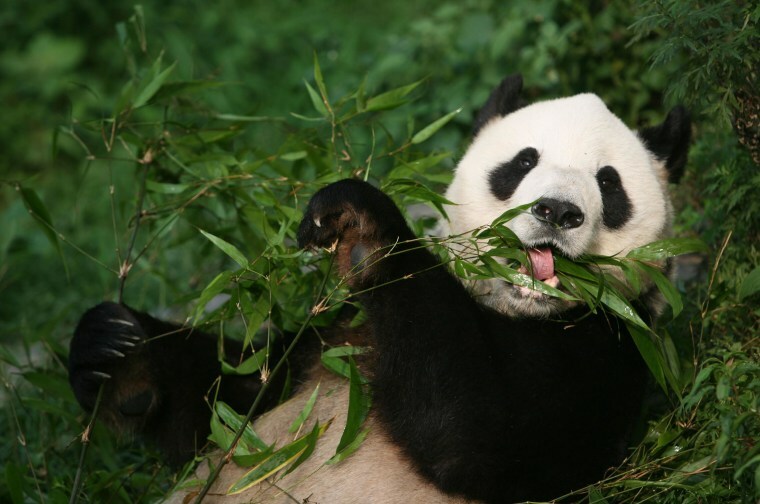 BEIJING – Would you love nothing more than spending the next 365 days in the company of 200 pound furry black and white animals whose favorite food is bamboo? If so, you may be in luck. The lucky winner will spend a year learning how to prepare panda food like the legendary “panda bread,” help researchers take care of old and disabled pandas and participate in ongoing scientific research on giant pandas, including those still in the wild. Other perks of the top job? A salary of $32,000, free room and board, and an SUV at your disposal. Eight runners-up will win a three-day trip to panda-watch at the reserve. "Many people at our center do the same job, but the salary was never that high," Heng Yi, a publicity official at the panda center told China’s state newspaper, China Daily. Naturally, a deep love and some general knowledge of giant pandas is a must. Besides looking after pandas, the winner would be asked to help write articles about his or her experience at the reserve and snap photos of their cuddly charges. Sohu compared the panda keeper job to the “Best Job in the World” campaign in Australia –calling it the "Chinese version of a caretaker of an island on the Great Barrier Reef. This is not the first time that China has recruited “Pambassadors” to help raise awareness about endangered creatures -- In 2010 American Ashley Roberton flew to Chengdu and won a similar competition that allowed her to work closely with giant pandas. The competition will run from May 8th through July 15th. -NBC News' Ed Flanagan and Shaoyi Jiang.